We promote the sports of ATVing, snowmobiling, and our members’ businesses! Musky, Sno & ATV Country maintains some of the most beautiful trails through the Chequamegon National Forest in all of Sawyer County, as well as many lake trails which offer excellent riding, no matter the weather conditions. 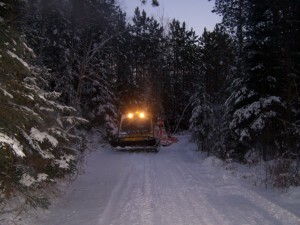 Musky, Sno & ATV Country club volunteers groom and maintain trails from the Chippewa Flowage to Lake Namekagon, Trail 5 South to the Tuscobia, North to Trail 8 and from Hayward Power Sports toward Hayward. Our club hosts an annual “Bryon Schroeder Memorial Poker Run” in March. 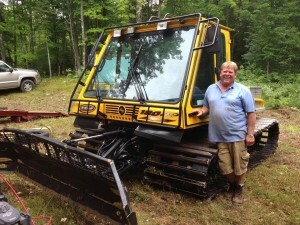 Bryon Schroeder was the President of the Sawyer County Snowmobile & ATV Alliance for many years. Our club currently has about 125 individual and family members and 21 commercial members. Membership dues help us keep the trails maintained and well-groomed and give you access to participate in club events. Membership dues are $25 for an annual Associate membership (individuals and families) or $295 for a Commercial membership.